The Spouse unfairly categorizes my selective hoarding as “stealing.” I totally disagree. Hotels would not supply these adorable products if they didn’t want me to take them. Plus, I make good use out of them. They either end up in my gym bag for post-workout showering or they are generously provided to guests who stay with us at Fancy Pants Ranch. This is up-cycling at its finest. You’re welcome, Earth. I do have standards, though. I won’t just take any old bar of soap. 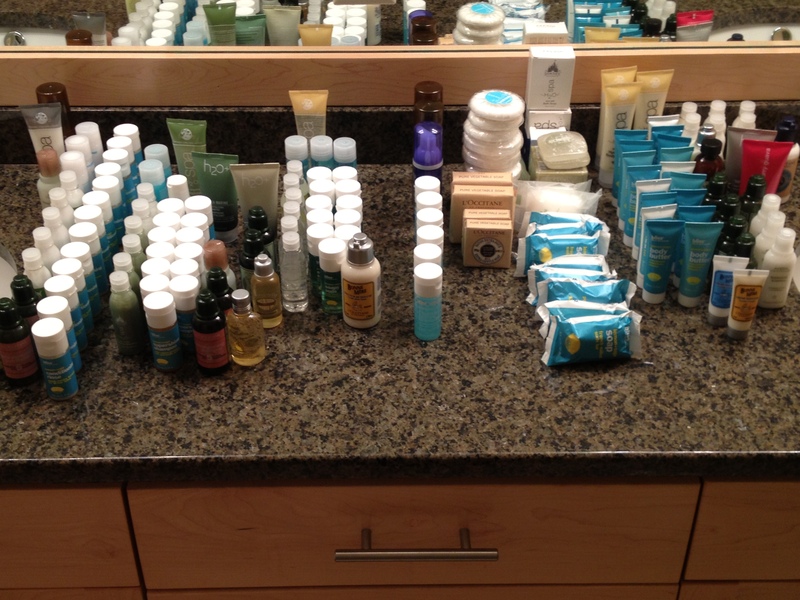 A lot of my stash is from W Hotels, where they stock Bliss products that are pretty awesome. This amazing hotel practically drowns you in L’Occitane, which is even better. But the champion of them all is the Parker Palm Springs, which is such a great place to stay that I’ll give it a whole post in the future. I almost died with happiness. 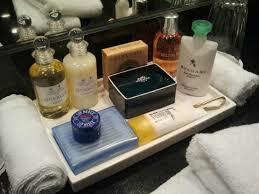 That soap is Hermes, y’all. As a Fancy Pants Ranch guest and direct beneficiary of said stash, let me say thank you for the warm welcome! Where do you keep the plastic knives?